Having an Instant Pot has been pretty great so far! 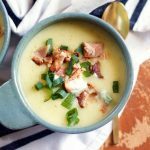 I showed you the first thing I made in it (chicken bone broth), and since then, I’ve made one pot dinners, more broth, and this delicious and creamy potato soup! In my soup experiments, I had to make it twice to get some ratios correct. Since the recipe uses an entire bag of potatoes, it makes like a gallon of soup (literally) and I couldn’t eat it for a week again, so I had a friend with lots of littles come by and pick it up for her family. They all liked it, so that told me I had gotten it just right! It helps to have other taste testers, because my husband is very supportive but he’s not too picky, so he often just says everything is good. I will definitely be using the Instant Pot to cook potatoes in the future for mashed potatoes too. Even though it takes a little while for it to pressure up, but it’s still worth it. There’s no chance of starchy water boiling over onto your stove, and it leaves my stove space open for other things, which will come in handy during big events! 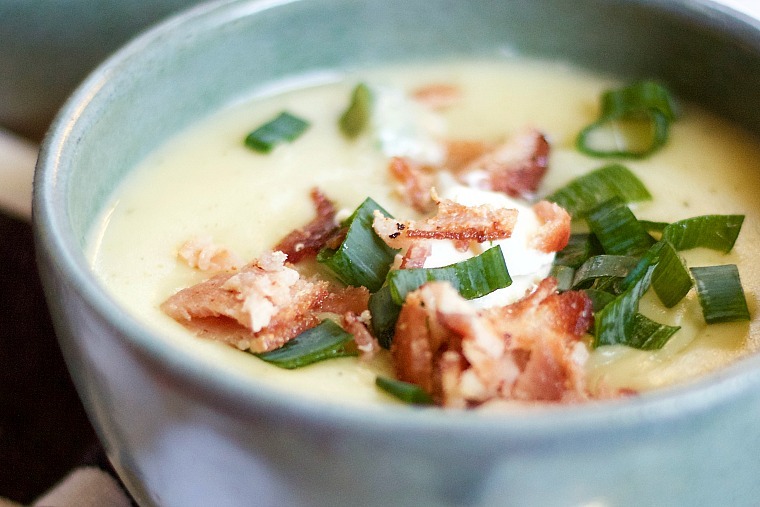 TIP: If you want the soup to be a little chunky, you can reserve a cup or two of mashed cooked potatoes and then stir them in at the end after you use the immersion blender. REHEATING: this Instant Pot Potato Soup shouldn’t need any additional liquid. The soup will get really thick when cold, but when heated it will return to its original consistency without a problem. Local Spotlight: My dairy all came from the regional Oklahoma dairy that can be found in the grocery store! The green onions came from my own garden (they didn’t die in the cold! ), and I made my own bone broth that I used for this recipe from a 413 Farm chicken! Cook bacon. Chop into small pieces and set aside. In the Instant Pot, on Sauté mode, melt butter and sauté onion and garlic together until onion is translucent. Add in cut potatoes, broccoli florets and chicken broth into the pot. Seal the Instant Pot and set it on Manual for 10 min. When it completes, you can either do natural pressure release or you can release the pressure valve. Mash potatoes and broccoli with potato masher in pot. Stir in cheese, yogurt/sour cream and cream cheese. Continue to mash until well-combined. Stir in milk, and then using an immersion blender, combine the pot contents until it reaches soup consistency. Mix in the majority of the bacon, saving some for garnish, if you desire. Add in salt and pepper to taste (I used about 1 t. of salt, but my broth was not salted). 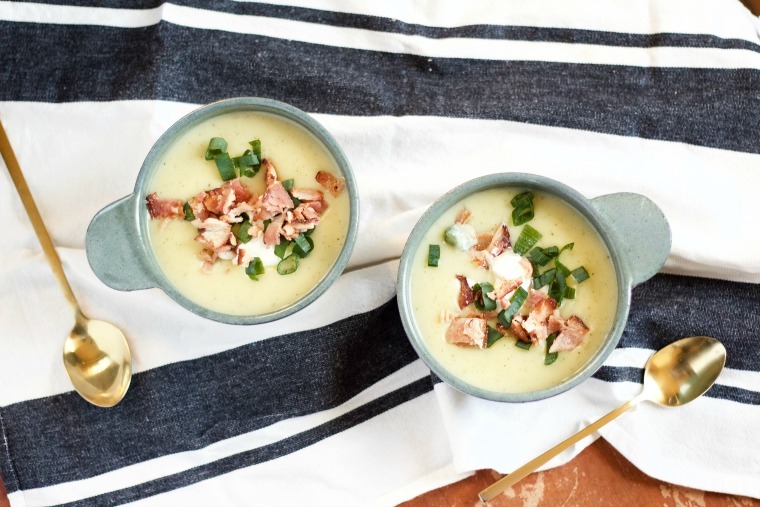 #enJOY immediately topped with more sour cream, cheese and bacon and green onions. You don’t put cilantro on your mbaked potato!!! Just say no, Dad. Maybe just more bacon. ? Wow. That’s a big hearty meal in a bowl. 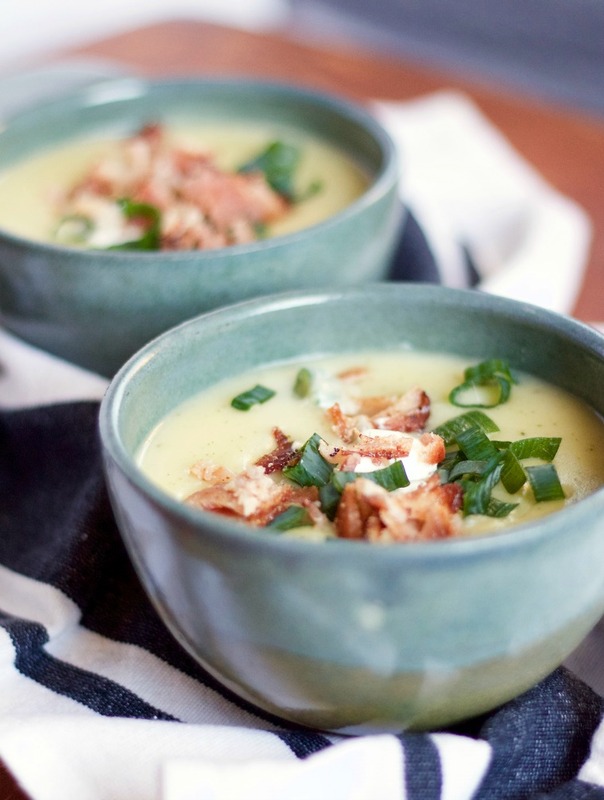 It’s funny – I make soups all the time and I’ve never made broccoli soup with cheese. But that’s going to change now!